Since November 9, the answer to the question "how could this have happened?" has been the quest of every political analyst, media pundit, and deeply concerned citizen in the Free World. 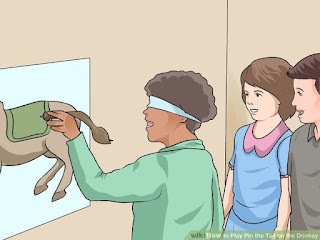 But the search itself has more resembled a game of pin the tail on the donkey, each of the contestants stumbling about blindfolded, one hand extended feeling the way, the other armed with the metaphorical tail symbolizing the marker to be placed, once and for all, on the true donkey. The stagnant economy has been one of the primary landing spots for the punctuating tail, but a recent study has shown much of the cause could be based on a much more primal, more sinister motivations of human nature: racism and sexism (and though not included in the study, very likely homophobia). That Hillary was a "bad candidate" is probably traceable back to the motivation of sexism: she was a bad candidate because she is a woman. That a stagnant economy was a motivation is traceable to non-white immigrants invading the country and orientals trying to take over the world economy. It's time to place the blame of Trump's election where it really belongs: on the undercurrent of racism and sexism in America and the voters who harbor it.